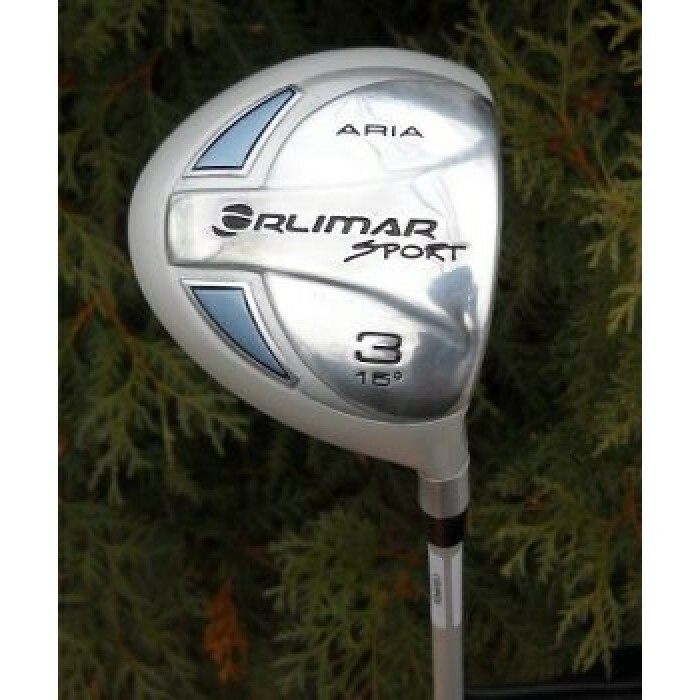 THE SAME COMPANY THAT BRINGS THE ORLIMAR GOLF CLUBS TO THE LPGA PRO'S HAS DESIGNED THE "ARIA LADIES EDITION 3 WOOD" FOR US..! FAIRWAY WOOD (#3) with Low profile and low center of gravity head to get the ball up out of tight lies for those nice LONG DISTANCE FAIR WAY SHOTS. The 3 WOOD From AFFINITY / ORLIMAR GOLF features the "Balanced Profile" style of design with a low center of gravity to help you get nice LOFTED shots off the TEE and off the Fairway - even off tight fairways and also out of the rough !!! All in all, a very Elegant golf club!! This LADIES EDITION was Tastefully designed with the LADY golfer in mind and with the latest technology. The ARIA LADIES EDITION 3 WOOD: is a great UP-GRADE for the intermediate golfer as well as beginners. Oversize golf club heads are great confidence builders by providing excellent forgiveness on miss-hit shots. We have excellent feedback for these clubs. AFFINITY/ORLIMAR & AGXGOLF GOLF are headquartered in Michigan and they've been around for a long time (even longer than we have)! We've been playing their Golf Clubs since we were kids and have been nothing but satisfied and we GUARANTEE that you will be too!! THIS LISTING IS FOR A LADIES RIGHT HAND 3 WOOD: NOT SURE OF YOUR SIZE?